January 4 Summer Science Fiction Science fiction stories from the 1950's. Janaury 11 Summer Science Fiction Science fiction stories from the 1950's. January 18 Summer Science Fiction Science fiction stories from the 1950's. Janaury 18 Gene Cernan Noting the death of former astronaut and moon walker Gene Cernan. Janaury 25 Summer Science Fiction Science fiction stories from the 1950's. February 1 Mercury Atlas 6 Part 1 Marking the 55th anniversary of John Glenn's spaceflight aboard Friendship 7 in song and commentary. 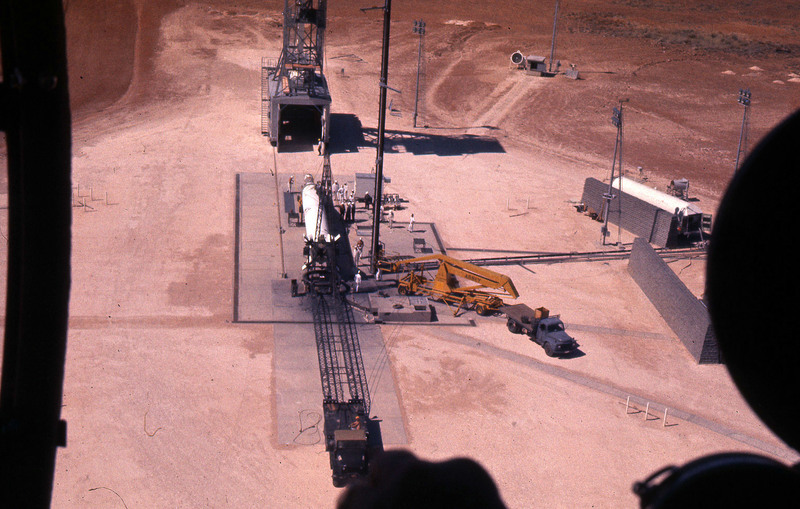 February 8 Mercury Atlas 6 Part 2 Marking the 55th anniversary of John Glenn's spaceflight aboard Friendship 7 in song and commentary. Also the entire speech made to the U.S. Congress after the mission by John Glenn. March 22 World Meteorological Day To mark tomorrow's event a discussion of: the COSMIC satellites; Australia's use of the Chineese Fengyun satellites; the AIRS instrument on NASA's Aqua satellite; the CrIS instrument on the Suomi satellite; the Infrared Atmospheric Sounding Interferometers on EUMETSAT's MetOp A and B satellites; and plans for the TROPICS constellation. March 29 Space Music A musical journey to space. April 5 Space Music A musical journey to space. 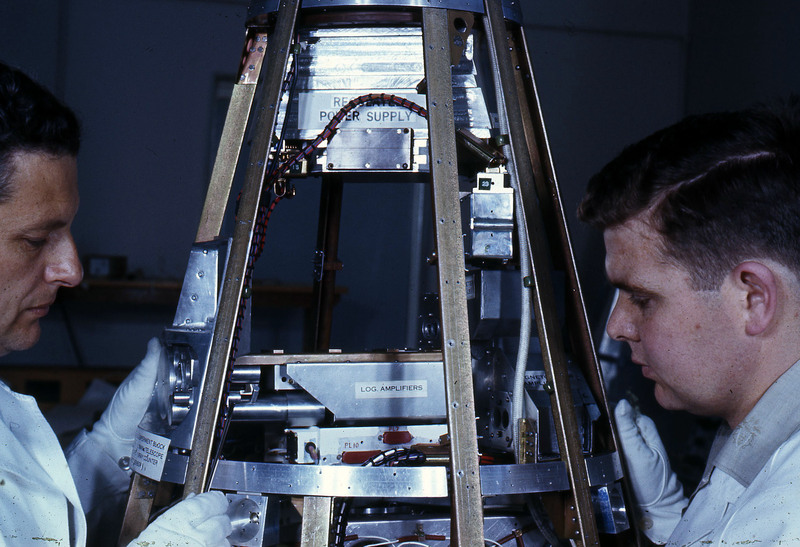 April 19 Soyuz 1 and the death of cosmonaut Vladimir Komarov Igor Rozemberg (Member, Space Association of Australia,Melbourne) and Andrew Rennie discuss the 50th anniversary of the death of Vladimir Komarov aboard Soyuz 1. Included music and sound bytes. April 19 QB 50 The launch this morning of the first fully Australian built satellites in 50 years. AU 01 SUSat, AU 02 UNSW-ECO and AU 03 Inspire 2 will be deployed into independent orbits as part of the QB 50 project. April 19 Cassini About to begin a series of 22 dives between the rings and atmosphere of Saturn. Discovery of hydrogen in the plumes of Enceladus and its importance for possible life in that moon's ocean. April 26 Cassini As the programme went to air Cassini was the closest it had ever been to Saturn as it made its first dive between the rings and the planet. April 26 Space Policy Australia - Part One of Five The politics of space policy in Australia. 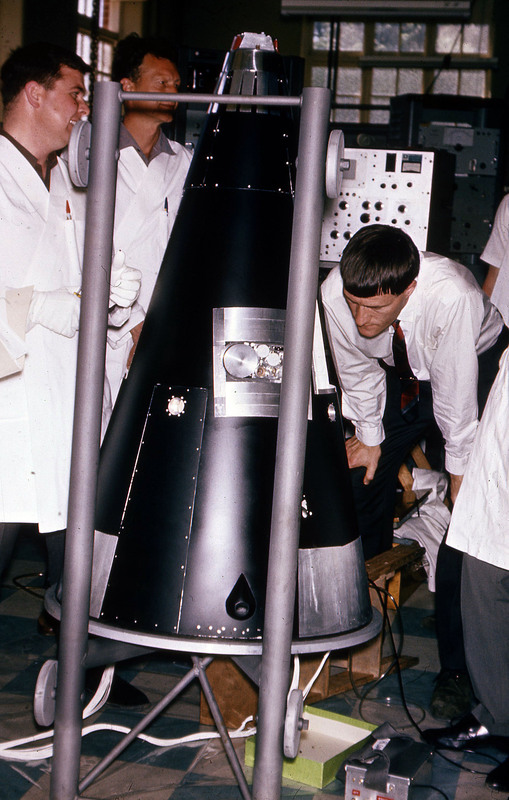 An overview of the programme series; the issuance by the Australian Space Industry Association of a white paper calling for the formation of an Australian Space Agency (Michael Davis and Mark Ramsay); missed opportunities of the past 50 years (Owen Mace); and a potted history of Australian involvement in space (Alice Gorman). May 3 Space Policy Australia - Part Two of Five The politics of space policy in Australia. The case for Australia becoming a member of the European Space Agency is put by Warwick Holmes (former Engineer at ESA). Joining the discussion were: David Broadbent (Robotic Engineer, Rocketlabs USA, Auckland); Richard Tonkin (Member, Australis Oscar 5 Team, Melbourne); Brett Biddington (Owner, Biddington Research Pty Ltd, Melbourne); Owen Mace (Member, Australis Oscar 5 Team, Melbourne); Jason Held (Founder, Saber Astronautics, Sydney); and Alice Gorman (Advisory Council Member, Space Industry Association of Australia, Adelaide). May 10 Federal Budget 2017 An analysis of the 2017 Federal Budget to find the mentions of space and astronomy. 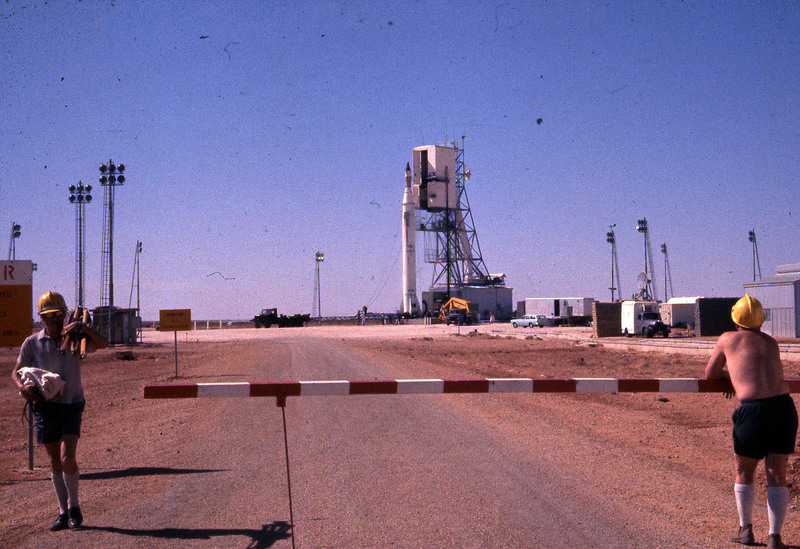 May 10 Space Policy Australia - Part Three of Five The politics of space policy in Australia. Jason Held (Founder, Saber Astronautics, Sydney) describes Australian opportunities in space and Brett Biddington (Owner, Biddington Research Pty. Ltd., Melbourne) explains why the Australian story has been a northern hemisphere one. May 17 Cape York Spaceport The land allocated in the 1980s for a spaceport on Cape York has neen handed back to the indigenous owners. 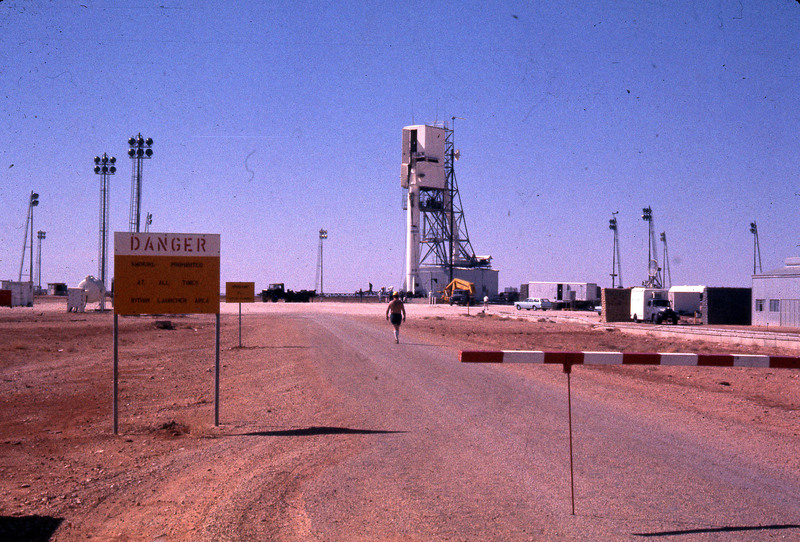 May 17 Space Policy Australia - Part Four of Five The politics of space policy in Australia. Mark Todd (Senior Policy Officer, Space Coordination Office, Department of Industry, Innovation and Science, Canberra) explains what "space" means to Australians; outlines space policy functions; Australian government activities and agencies; issueance of launch certificates; opportunities for Australian industry and the move to smaller satellites; and the review of the Space Activities Act. 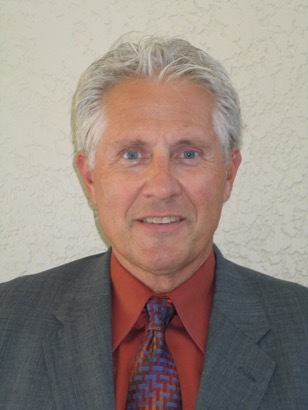 Russell Boyce (Chairman, National Committee for Space And Radio Science, Australian Aceadmy of Science, Canberra) describes the Academy's submission to the review of the Space Activities Act, and its review of the decadal plan for space science. 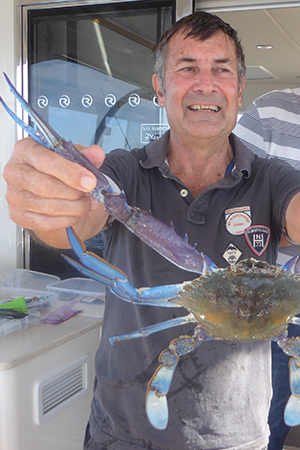 Brett Biddington (Owner, Biddington Research Pty. Ltd., Melbourne) states the status of the Australian Satellite Utilisation Policy. Upulie Diveskara (Ph.D. Candidate, Monash University, Clayton) gives her personal view on a mooted Australian Space Agency. May 24 Rocket Lab's "It's A Test" Three launch attempts of the first Electron rocket postponed due to inclement weather; details of the rocket; the rationale of the Electron programme; why New Zealand's Mahia Peninsula was chosen for orbital launches. 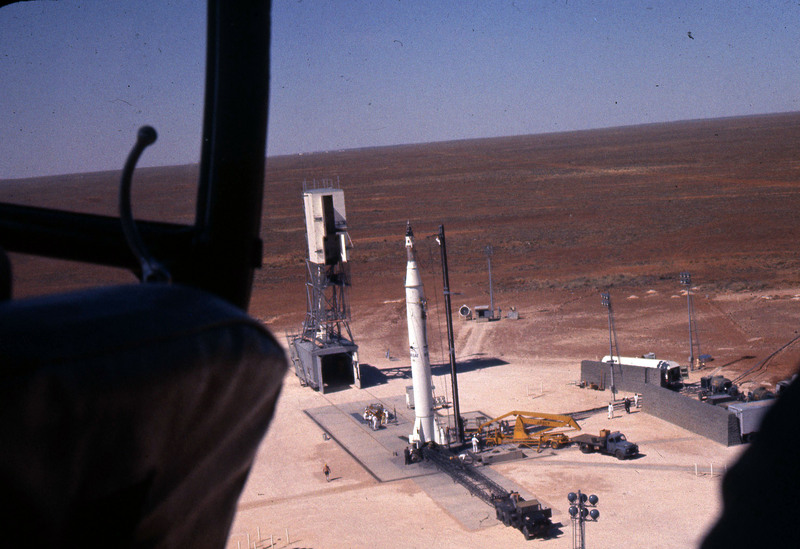 May 24 Space Policy Australia - Part Five of Five The politics of space policy in Australia. Troy McCann (formerly of the Melbourne Space Program) puts forward ideas on how to grow Australia's space sector; Jason Held (founder, Saber Astronautics, Sydney), Owen Mace (Team Member, Australis Oscar 5, Melbourne) and Brett Biddington (Owner, Biddington Research Pty Ltd, Melbourne) discuss the role of venture capital in space activities; Michael Davis (Chair, Space Industry Association of Australia, Adelaide), Gordon Pike (Member, Space Industry Association of Australia, Sydney) and Bruce Middleton, member, Space industry Association of Australia, Canberra) discuss the costs of an Australian space agency; and Phil Crosby (Chair, Advisory Council, Space Industry Association of Australia, Sydney) describes the links between CSIRO's space activities and industry. May 31 Lost In Space - Australian QB-50 Satellites Three Australian satellites were deployed into orbit last week from the International Space Station. Unfortunately, nothing has been heard from AU01 (SUSat), AU02 (UNSW-ECO) and AU03 (i-Inspire 2). May 31 Rocket Lab's "It's A Test" The "It's A Test" launch of the Electron rocket on May 25 reaches space but not orbit. Peter Beck (CEO, Rocket Lab, Auckland) describes the ethos of the company and his early experience with hydrogen peroxide fueled rockets. June 7 Space Music An hour of space songs from 6 p.m.
June 7 Lucy A tale linking the Beatles' Lucy In The Sky With Diamonds with the finding of the "Lucy" hominid fossil, the palaeontologist Donald Johanson, the asteroid Donaldjohanson and the Lucy mission to the Trojan asteroids. June 14 Progress MS-06 Liftoff Live from the Baikonur Cosmodrome, the liftoff of the Progress MS-06 cargo spacecraft towards the international Space Station. 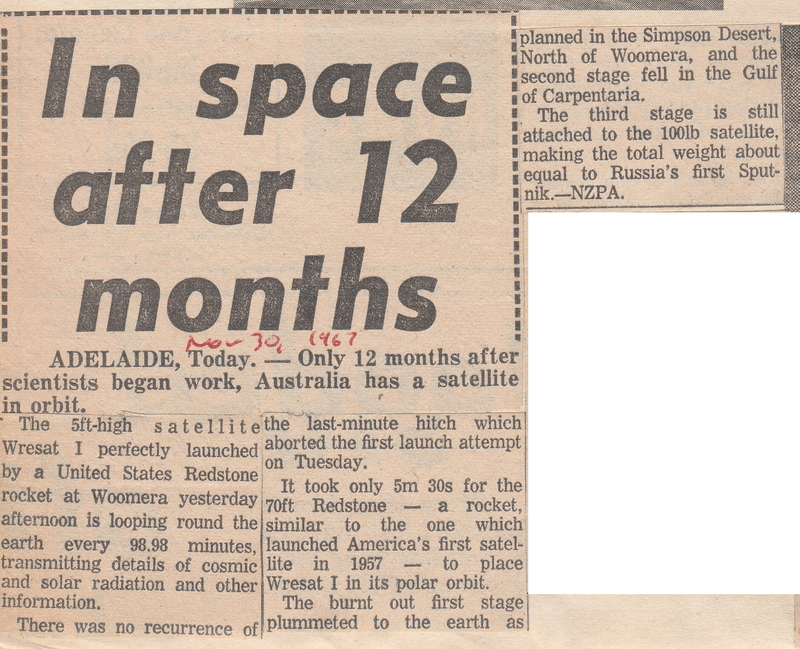 June 14 Australis Oscar 5 - Part Three To mark the 50th anniversary of the delivery of the first satellite built in Australia, some of the innovations in the satellite design; some of the results of the mission; and how Australia never registered the satellite with the United Nations. Voices of Owen Mace (Member Australis Oscar 5 Team, Melbourne University), Stephen Howard (Member Australis Oscar 5 Team, Melbourne University) and Paul Dunn (Member Australis Oscar 5 Team, Melbourne University). June 28 2007 OR10 Moon The story of missed opportunities and serendipty in the discovery of a moon orbiting the dwarf planet 2007 OR10. June 28 Cassini's Week The planned activities by Cassini and the ring plane crossing plasma wave recordings reveal the space between the D-ring and Saturn is sparsely populated by particles. 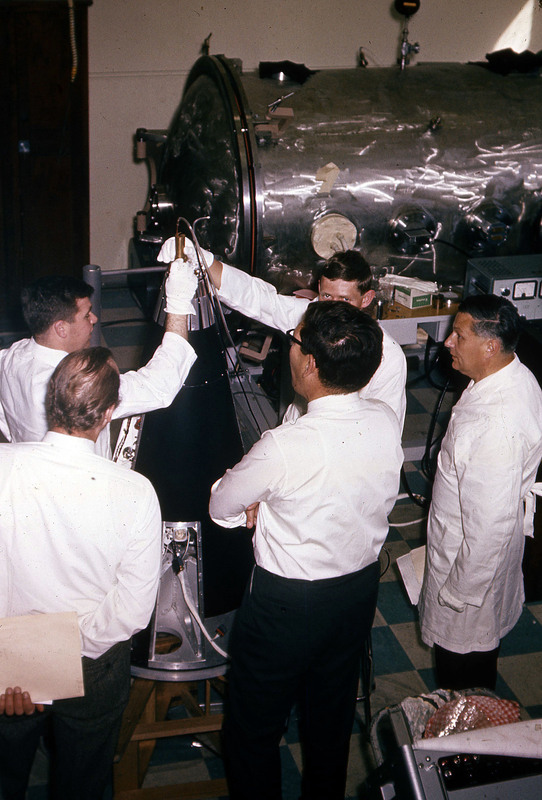 June 28 Wernher von Braun Marking the 45th anniversary of the retirement from NASA of Werhner von Braun, we play his comments on the lasting benefits of the Apollo lunar programme. 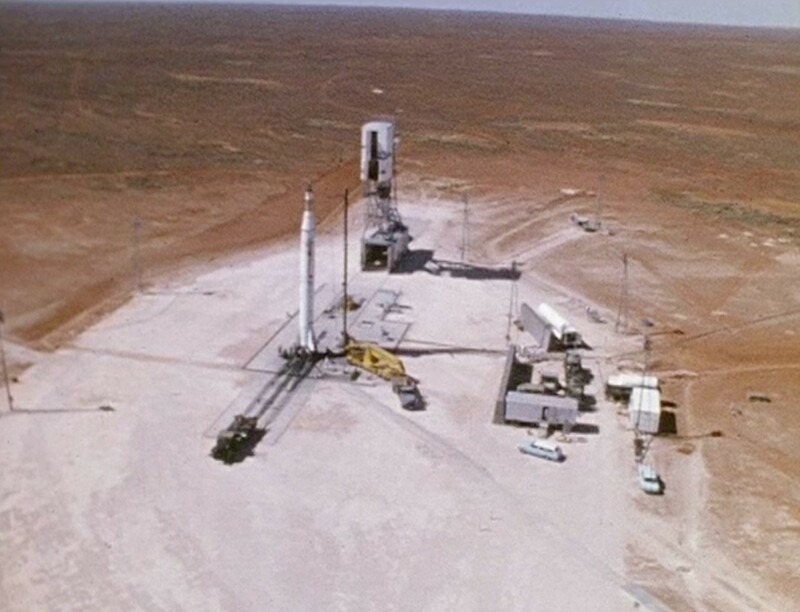 June 28 Aussat A The 35th anniversary of the awarding of contracts to build the three Aussat A domestic communications satellites. July 5 Telstar 1 The 55th anniversary of the launch of the Telstar 1 communications satellite, which ushered in the age of intercontinental television. 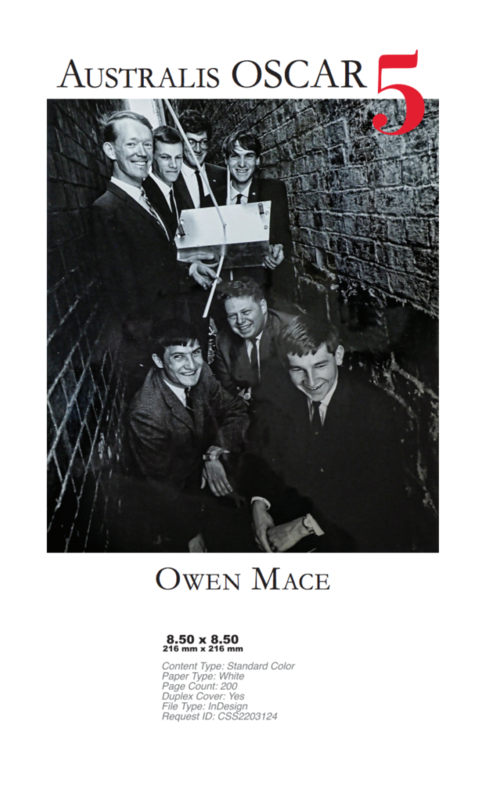 Included: the launch; the first telephone calls via satellite; the first trans-Atlantic television programme; President Kennedy; astronauts John Glenn and Wally Schirra; and several versions of Joe Meek's tune "Telstar" and song "Magic Star". July 12 Planet Nine The search for a hypothesised ninth planet in the outer regions of our Solar System. July 12 Kepler Catalogue Release The release of a new catalogue of exoplanets and exoplanet candidates found by the Kelper satellite. July 19 Micius Tests Quantum Entaglement The Micius QUESS (Quantum Experiments at Space Scale) satellite has made the first test of its Sagnac effect interferometer to transfer quantum entangled photons. July 19 The President At Cape Canaveral A "fake news" report of the President's secret visit to Cape Canaveral under the cover of Vice President Mike Pence's visit. August 2 Space News Special A programme of space news from around the world as collected by Peter, Michael and Angelo and presented by Jay. August 9 Cassini's Week What Cassini is doing this week during its final orbits of Saturn. August 16 Cassini's Week What Cassini is doing this week during its final orbits of Saturn. August 23 Cassini's Week What Cassini is doing this week during its final orbits of Saturn. August 30 Landslides How the results of the second Shuttle Radar Topography Mission are being used to map landslide risks. August 30 The Polar Satellite Launch Vehicle The history of rocketry in India, and a description of the payloads orbited by the 34th PSLV rocket. August 30 Cassini's Week The penultimate week of the 20-year Cassini mission to Saturn. September 6 Cassini's Week The final full week of the 20-year Cassini mission to Saturn. September 6 Voyager 1 To mark the 40th anniversary of Voyager 1, a description of the launch and achievements at Jupiter, Saturn and into interstellar space. September 13 Cassini's Last Week The planned final days of the 20-year Cassini mission to Saturn. September 20 Cassini's End All of the action from the Jet Propulsion Laboratory as the Cassini entered Saturn's atmosphere and vaporised. In doing so it destroyed the DVD carrying the names of many listeners of The Space Show of the mid-1990s. Read our article about this DVD. September 27 Space Agency for Australia To mark the announcement that a space agency will be formed by the Federal Government, a programme examining why it has taken so long to reach this decision. Comments by Richard Tonkin (Member, Australis Oscar 5 Team, Melbourne), Tim Parsons (Co-founder, X-Lab, Sydney), Simon Birmingham (Federal Education Minister, Canberra), Chris Schacht (former Senator and Minister in the Keating government, Adelaide), Michael Davis (Chair, Space Industry Association of Australia, Adelaide) and Kim Carr (Shadow Minister for Innovation, Industry and Science). Also an interview with Megan Clark, Chair, Expert Reference Group, Canberra. 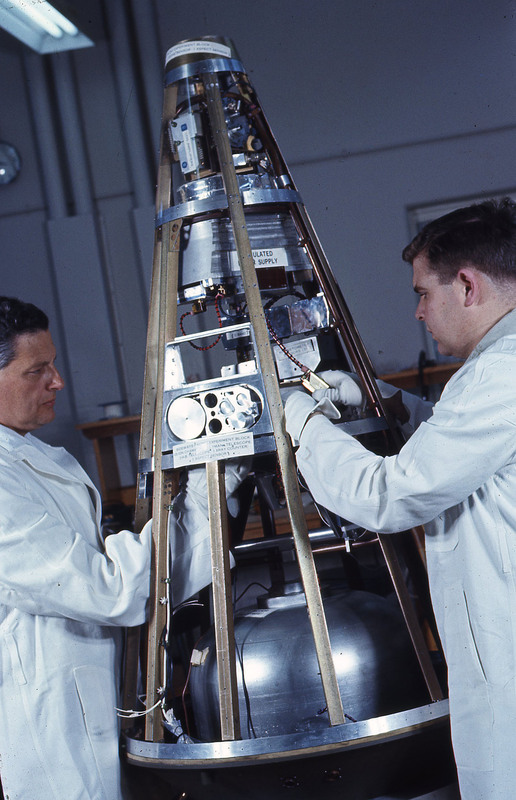 October 4 Sputnik 1 The 60th anniversary of the launch of Sputnik 1, including a Caltech feature on tracking the world's first artificial satellite, a discussion with Igor Rosenberg (Member, Space Association of Australia, Melbourne), and Soviet era music. 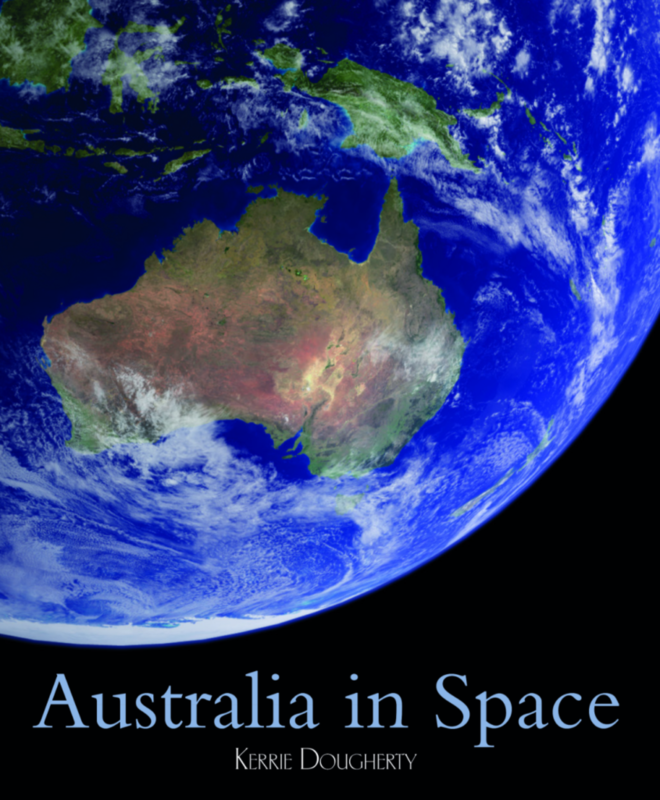 October 11 Australian Space Book Launches The launch of two Austalian space books: "Australia In Space" by Kerrie Dougherty and "Australis Oscar 5" by Owen Mace. October 18 Gravitational Waves From Neutron Star Merger Detected The announcement of the detection of gravitational waves from the merger of two neutron stars, and how ground and space observations revealed more of this event - GW170817. In a two hour special we covered both the original announcement from the United States' National Science Foundation in Washington, D.C., and the OzGrav team in Old Parliament House in Canberra. Participants included: France Córdova (Director, National Science Foundation); Alan Finkel (Chief Scientist, Australia); Matthew Bailes (Professor, OzGrav, Swinburne University of Technology, Glenferrie); Susan Scott (Professor, OzGrav, Australian National University, Canberra); Eric Thrane (OzGrav, Monash University, Clayton); Tara Murphy (Associate Professor, CAASTRO, University of Sydney, Sydney); David Ottaway, Associate Professor, OzGrav, University of Adelaide, Adelaide); Sue Thomas (Australian Research Council, Canberra); David Blair (Reseacher, Perth, Western Australia); David McClelland (Researcher); David Reitze (Executive Director, LIGO Laboratory, Caltech, California); David Shoemaker (Spokesperson, LIGO Scientific Collaboration, Massachusetts Institute of Technology); Jo van den Brand (Professor of Physics, VU Amsterdam, The Netherlands); Julie McEnery (Astrophysicist; Goddard Space Flight Center, Greenbelt, Mayland); Marcia Branchesi (Astrophysicist, VIRGO Collaboration, Gran Sasso Science Institute, Urbino, Italy); Vicky Kalogera (Professor of Physics and Astronomy, Northwestern University); Jim Ulvestad (Assistant Director, National Science Foundation, Washington, D.C.); Laura Cadonati (Associate Prefessor of Physics, Gergia Tech); Andy Huwell (Staff Scientist, Las Cumbres Observatory, University California Santa Barbara); Ryan Foley (Professor of Astronomy and Astrophysics, University California Santa Cruz); Marcelle Soares-Santos (Assistant Professor, Brandeis University); David Sand (AssistantProfessor in Astronomy, University of Arizona); Nial Tanvir (Professor of Astrophysics, University of Leicester, United Kingdom); Edo Berger (Professor of Astronomy, Harvard University); Eleonara Troja (Research Scientist, Goddard Space Flight Center, Greenbelt, Maryland); and Alessandra Corsi (Assistant Professor, Department of Physics and Astronomy, Texas Tech University). November 8 Buccaneer and JPSS Two days ahead of their launch, a look at the Australian satellite BRMM (Buccaneer Risk Mitigation Mission) and JPSS 1 (the first Joint Polar Satellite System craft, to be called NOAA 20 if successful). Included comments by David Lingard (DSTO), Douglas Griffin (Space Missions Lead, University of New South Wales, Canberra), Senator Sinodinus (Federal Minister for Industry, Innovation and Science, Canberra), Senator Marise Payne, Michael Frater (Rector, UNSW Canberra at ADFA), and NOAA officials. Marise Payne announces Bucaneer with poor media attendance. Note model in right background. November 15 Australian Cubesats This programme included, from Vandenberg Air Force Base, the aborted countdown to the launch of the BRMM (Buccaneer Risk Mitigation Mission) and JPSS 1 (the first Joint Polar Satellite System craft, to be called NOAA 20 if successful). Also a critique of some press statements by The Honourable Christopher Pyne (Federal Minister for Defence Industry), and a description of the MISO, Biarri-Point, Biarris Squad, RAAF M1 and M2, MCUBED and BMM cubesat projects. November 15 BRMM Launch Abort Our recording of the second launch attempt at Vandenberg for the Buccaneer Risk Mitigation Mission cubesat and the JPSS-1 weather satellite. November 22 BRMM Launch Including reports from Vandenberg, a description of the launch and deployment of the Australian Buccaneer Risk Mitigation Mission cubesat and the U.S. JPSS-1 weather satellite. Notes the confusion in the identification and naming of the 2017 073 satellites. 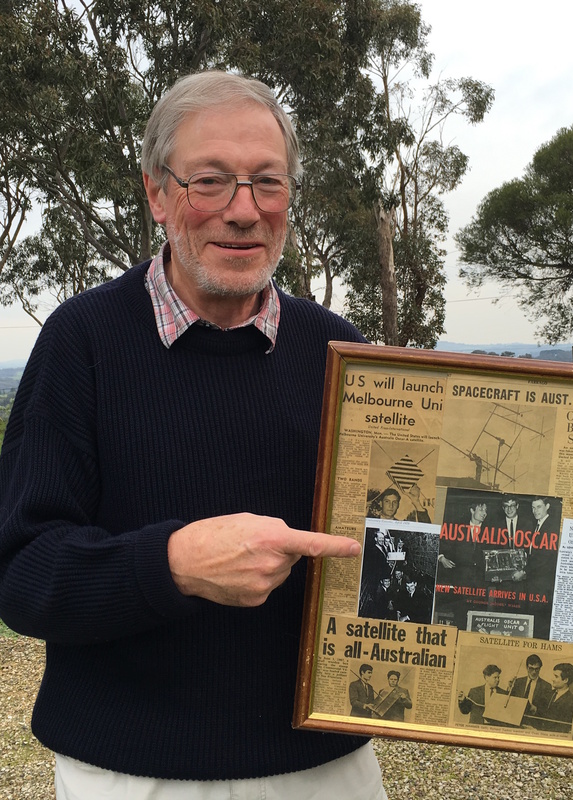 November 22 Wresat One - Part One To mark the fiftieth anniversary of the launch of Australia's first satellite, Wresat 1: how the project came about because of SPARTA; the decision to launch a satellite; discounts and offsets; construction; and thermal control. 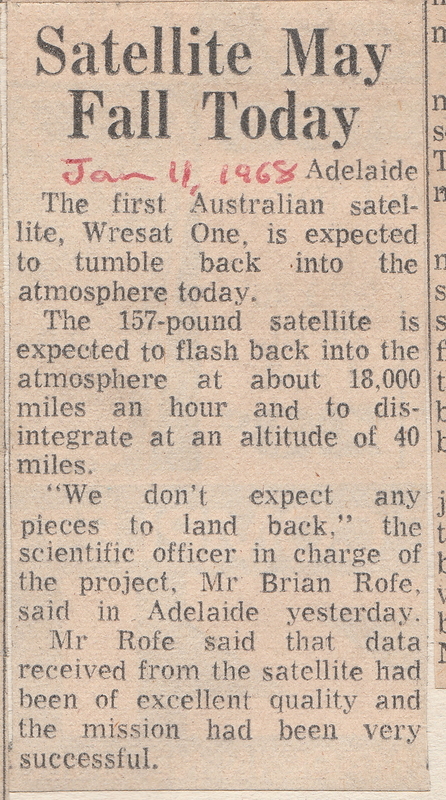 November 29 Wresat One - Part Two To mark the fiftieth anniversary of the launch of Australia's first satellite, Wresat 1: thermal control with the incorrect paint; battery power; the November 28 abort; tha launch; the digital impact predictor; the Redstone launch vehicle; an eyewitness account by Richard Tonkin; Wresat's orbit; attitude control; and selection of the scientific experiments. 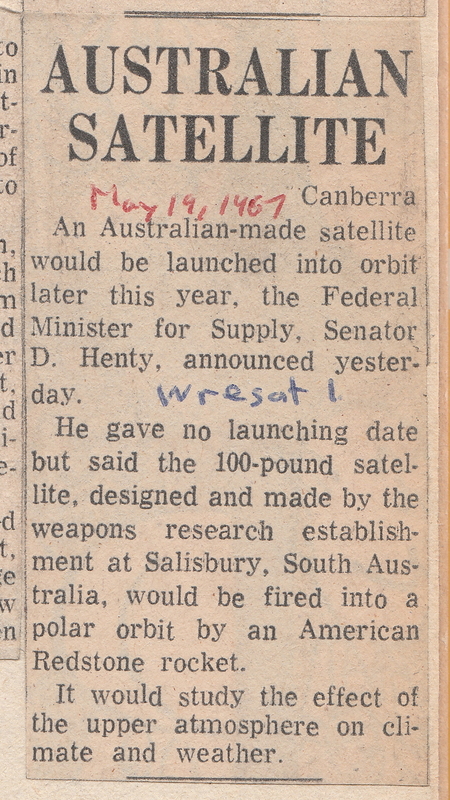 December 6 Wresat One - Part Three To mark the fiftieth anniversary of the launch of Australia's first satellite, Wresat 1: The experiments; Apollo 16 and the geocorona; wavelengths measured by Wresat 1; data recording and analysis; published scientific results; the 1967 December 2 Skylark launch; Radio Australia reports on the launch and confirmation that orbit had been achieved; interview with ABC science reporter Peter Pockley on the difficulties of broadcasting "live" from Woomera; and acknowlegements. December 13 Rocket Lab's "Still Testing" Abort. 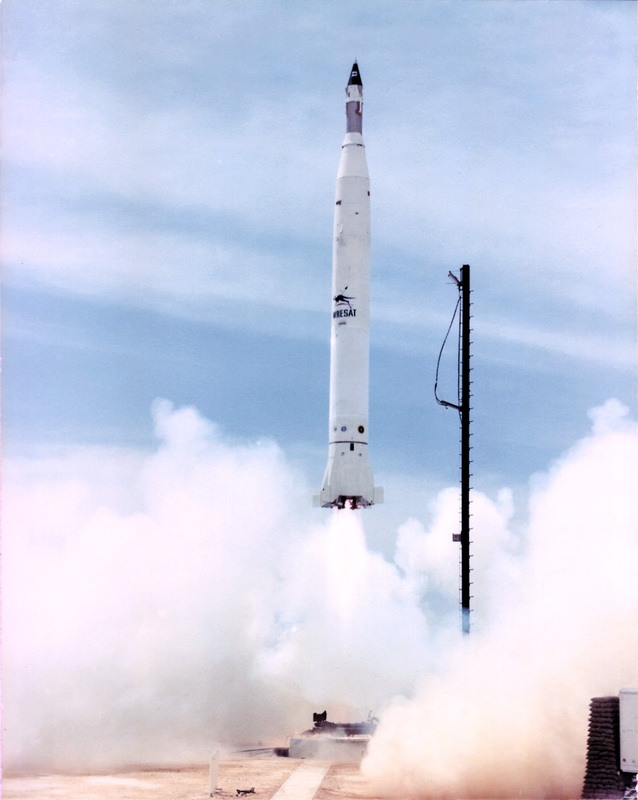 The aborted attempt to launch two satellites on an Electron rocket from the North Island's Mahia Peninsula. December 27 Bruce McCandless Marking the death of astronaut Bruce McCandless by remembering his role as capsule communicator during the Apollo 11 moonwalk, his testing of the Manned Maneuvering Unit in the first untehered space walk and his assistance in deploying the Hubble Space Telescope. December 27 Space Songs During a two-hour special we played a variety of space songs and parodies of the "Star Wars" movies.